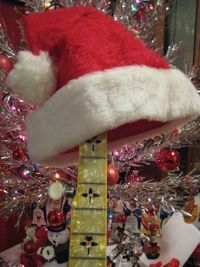 Casey Henry Christmas Custom Lesson Collection: For the first time--a DVD filled with Christmas tunes for the banjo! Casey Henry has pulled together a collection of her custom lessons featuring some popular holiday classics. The breaks range from beginner through intermediate to slightly more advanced, so no matter your playing level, there will be something here for you. Please note, this is NOT a regular Murphy Method studio-produced DVD, but six of the custom lessons Casey records on her home computer. The production quality is lower, but the instruction quality is just as high!